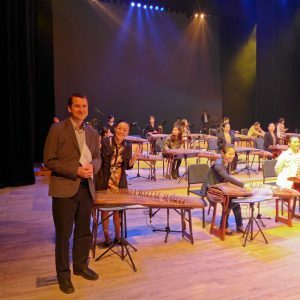 Last night I was to Gimhae, Korea for the premiere of a new piece commissioned and performed by the Gimhae Gayageum Orchestra. 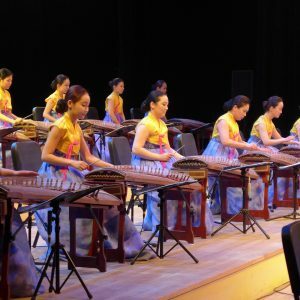 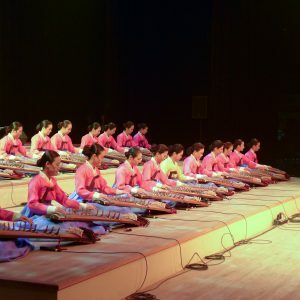 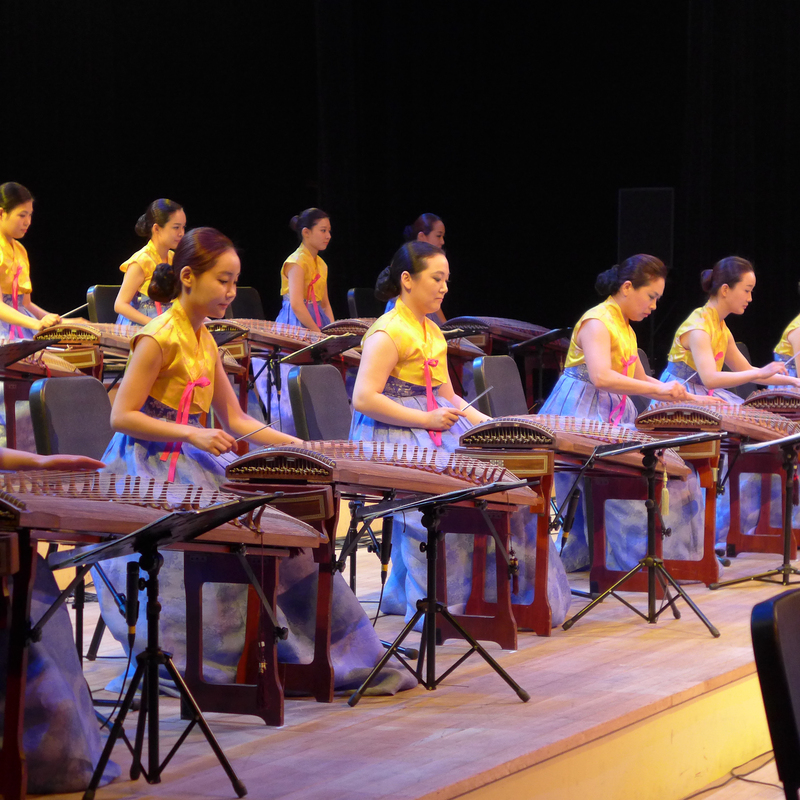 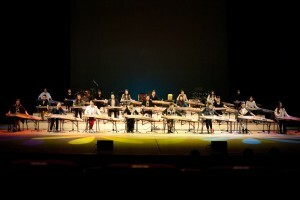 The ensemble, whose director is gayageum soloist and Seoul National University professor Yi Ji-young, is made up of 23 players plus 2 percussionists. For most recent pieces and arrangements the performers play on 25-string gayageums, making for a grand total of 575 strings of goodness. 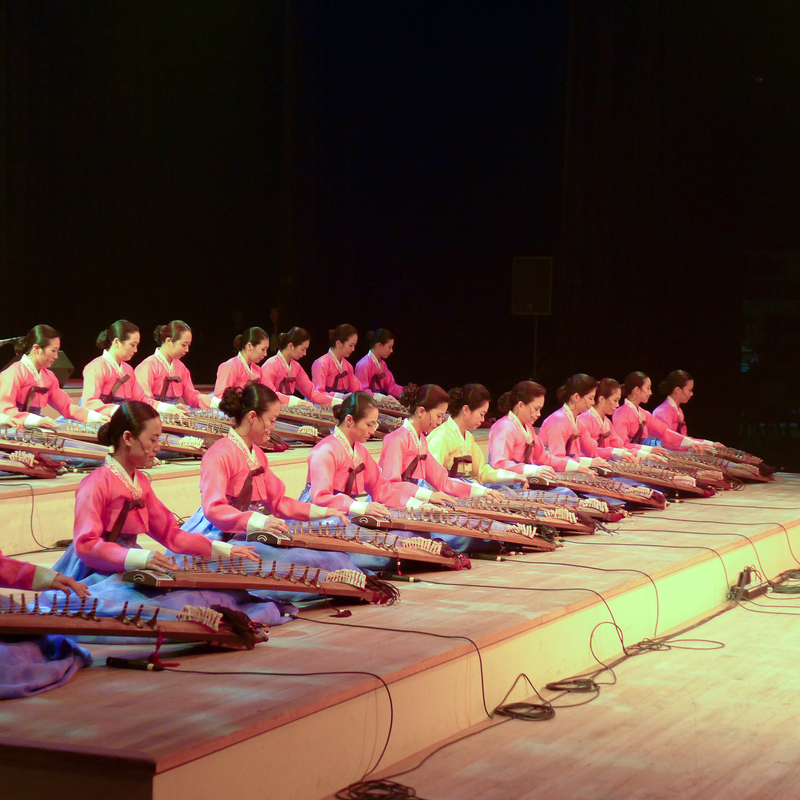 I’ve always been attracted to groups of like-minded instruments, and this one may very well be my favorite. 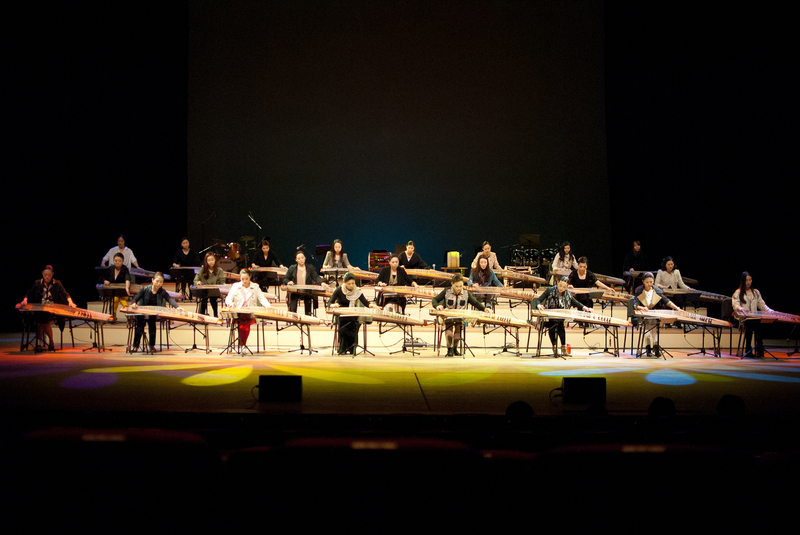 The homogeneity of the ensemble allows for some complex textures and all-around cool sounds. 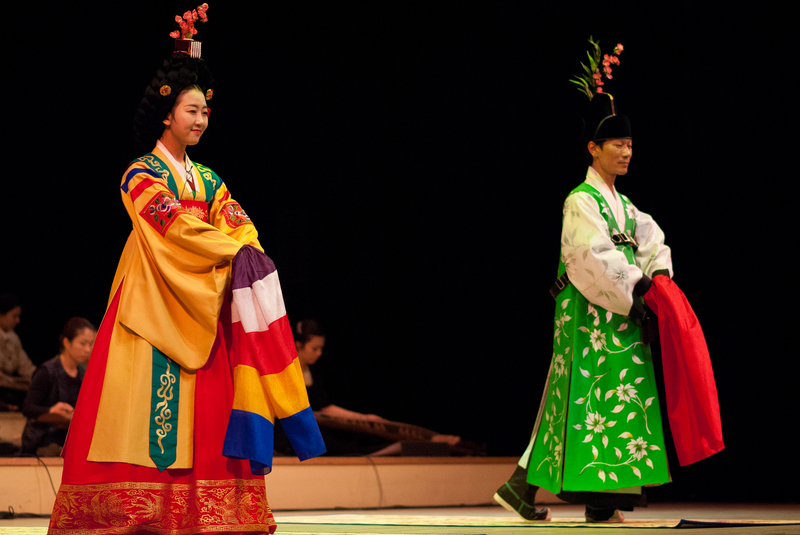 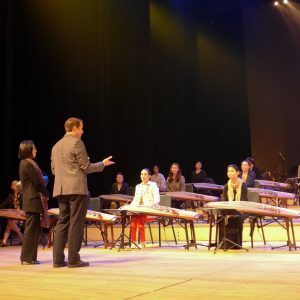 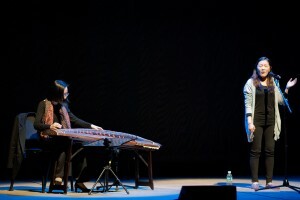 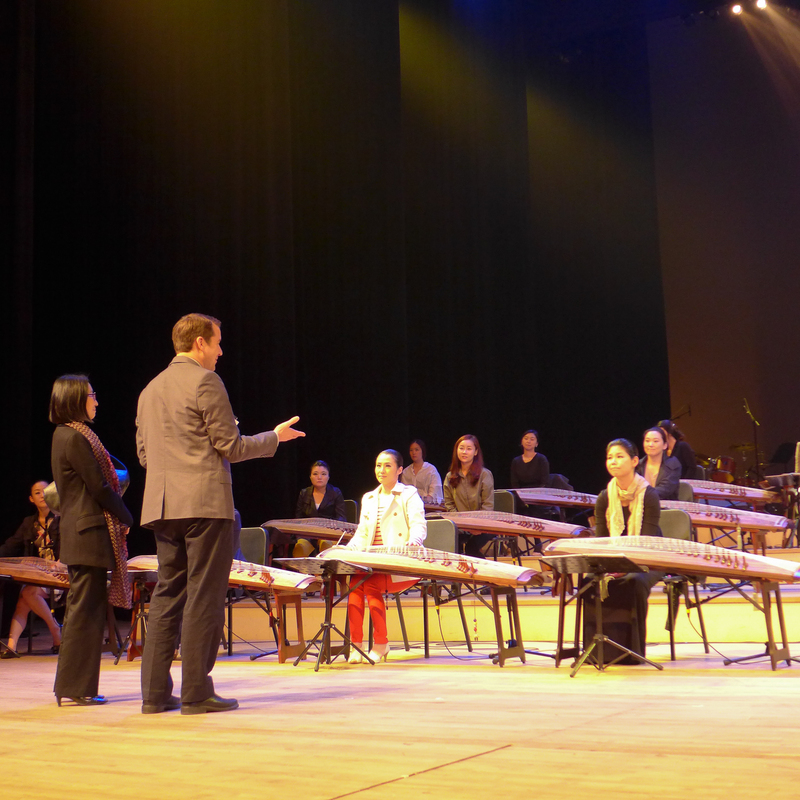 The concert featured a wide variety of performances, from “gayageum byungchang” (in which the performers sing and play) to a court dance. 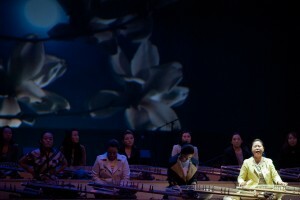 Highlights included the performance of Busan-based composer Park Sun Young’s “Outfocusing Love” and a performance of Hwang Byungki’s duo, arranged for gayageum and voice and performed by Yi Ji-young and Ahn Jeong-Ah. Thanks to Prof. Song Hyejin for some of the photos from the day’s rehearsals and the evening concert, and thanks to the Gimhae Gayageum Orchestra for the great performance.